We sell bicycles and all related accessories year-round. We carry quality, serviceable products with emphasis on the ability to repair the major items and we service what we sell. 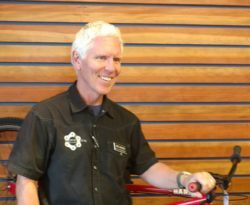 Our full-service bike repair shop is dedicated to keeping your bike in tip-top shape. We’d be glad to inspect your bicycle and provide recommendations for repair before our mechanics get started. Whether you’re a seasoned rider or just thinking about getting your first bike, we’re here to help so please don’t be afraid to ask questions. Our goal is to get you on the best bike for you! Looking to learn more about your bike? Want to become more involved in the Bozeman bike community? Check out our Community and Events pages for more information on events we’re hosting, supporting, sponsoring, or just really like. When we say we’ve been in the biking business for a long time, we mean it! Owenhouse Cycling is part of the Owenhouse Hardware Company; founded in 1879. 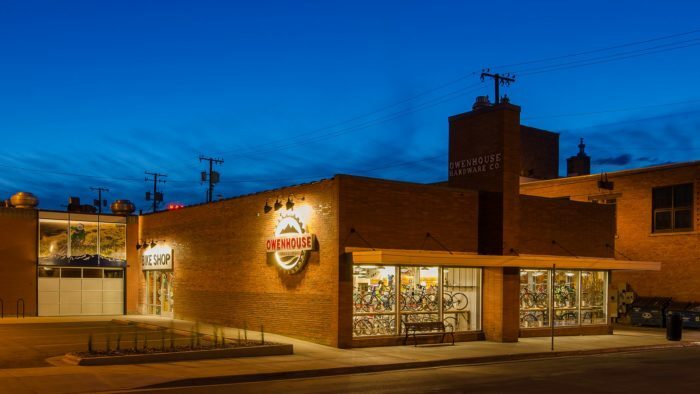 What started as a mercantile carrying all the goods a person of that time would need, including bikes, has since grown and expanded to become what is now Owenhouse Cycling and Owenhouse Ace Hardware. The Owenhouse Cycling building was originally constructed in 1949 as a showroom for tractors and other farming implements. Things have changed a bit over the years, with our latest remodel taking place in 2014. 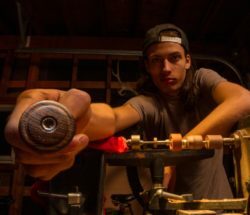 I’m the 4th generation of my family to own and operate the Owenhouse Hardware Company (including Owenhouse Cycling), going back to my Great-Grandfather Whitfield Spain. Some of my earliest memories are of my brother and I exploring the hardware store basement or hanging out watching the many TVs we stocked in that era. I took my first job at the store when I was 14. I would show up after school to haul the garbage and cardboard the dumpsters, assemble a few odd things, and then head home with my father for dinner. I worked at the store until the end of high school when I decided I needed a break and took some different jobs while I worked my way through the Engineering program at MSU. At the end of my college career I made the decision to work my way into ownership of the business and came to work full-time in the summer of 2001. It was an incredible privilege to be able to work alongside my father for 15 years until his retirement in 2016. It’s now my responsibility, as the current caretaker of Owenhouse, to guide the business through the challenges that are ahead and leave it in a place that sets up the next generation for success. 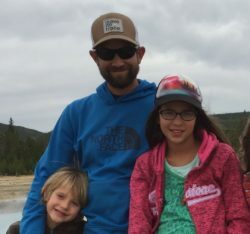 I spend most of my free-time enjoying all the outdoor adventures that Bozeman has to offer with my wife Molly, and two children Rylie and Ross. We’re passionate about riding bikes and trying to open up cycling opportunities to others. We’ve helped to found the Bozeman Youth Cycling program, and volunteer time and resources to the Bozeman Pedal Project, Team Rockford/Owenhouse Cycling, the Mystic MTB Race, and the fall cyclocross race series with the hopes of building a sustainable bike culture in Bozeman. I have been the Shop Manager of Owenhouse Cycling since 2016 and have over 40 years of retail experience in a variety of products/gear: outdoor footwear, sporting goods, hunting gear, and now bikes. I’ve been cycling for over 30 years almost exclusively in road and mountain but more recently added fixey and cross to my list. I’ve seen a lot of cycling gear come and go, and some even come back again! No matter what your cycling pleasure, stop by and let us help you continue your ride! I grew up in Pátzcuaro, a small town in South-Central Mexico that I still call home. I moved to the US after high school and ended up in Bozeman through a series of fortunate events. 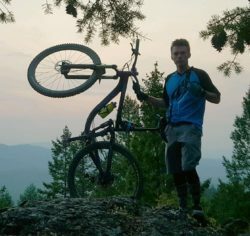 I became a mechanic at Owenhouse in 2015, and have since fallen in love with Bozeman’s trails and cycling community. 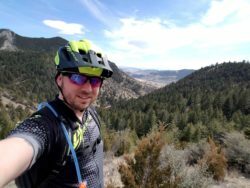 I’m a coach for the Bozeman Pedal Project and Bozeman Youth Cycling, and I help where I can with the Southwest Montana Mountain Bike Association. 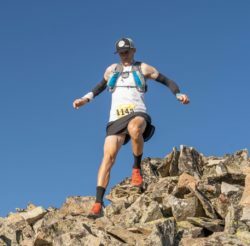 In my spare time I race in the Montana Enduro Series and other regional races, but have mostly moved on to the Big Mountain Enduro series with aspirations to race in the Enduro World Series in years to come. Born and raised in Arco, Idaho, I attended Idaho State University in Pocatello on an Alpine and X/C scholarship. In 1978 I moved to Bozeman because of Bridger Bowl and finally purchased my first mountain bike in 1983. Since then I have raced numerous triathlons, qualifying for the Iron Man three times, and raced road for 4 years on the Chalet/Bianchi team. When I’m not riding I enjoy hunting, climbing, organic gardening, and studying energy efficient building and design. I currently live in a super-insulated, passive solar home that I designed and built. I love this bicycle friendly community! I think e-bicycling is the next big thing and am on my second e-bike. Come on down and let me help you find that perfect e-bike! 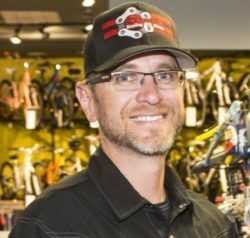 Born and raised in Bozeman, I’ve worked in the cycling industry for over 12 years. I am an active board member at Gallatin Valley BMX and have been a BMX racer for over 23 years. About 10 years ago I also took up riding mountain bikes and road bikes. I have been around bikes most of my life; even as a little kid I remember helping my dad clean up his old road bikes in the garage. When I’m not riding or working on bikes you can usually find me spending time with my fiance and our two dogs, Sprocket and Stella. Come into the shop and talk to me about the things I love: bikes and Bozeman! I grew up in The Land of 10,000 Lakes (Minnesota) but moved to Bozeman in 2011. I’m the black sheep at the shop because I do not own a mountain bike! Instead you can find me riding my murdered out BMC Timemachine 01 (with Justin Raynes trying to hold my wheel). I’m a triathlete so whenever I’m not at Owenhouse you can find me swimming, biking, and running. You might also see me stretching between customers. And if there’s a bike on our sales floor there’s a good chance it was built by me. I grew up in Madison, Wisconsin but moved to Missoula, Montana in 1999 to finish my undergraduate degree in Resource Conservation. After working in research for the Forest Service I became a stay-at-home parent for ten years raising my four children Ava, Alex, Jax, and Rory. As the kids grew up we spent time living and exploring in Oregon, Nevada, and are now back in Montana. 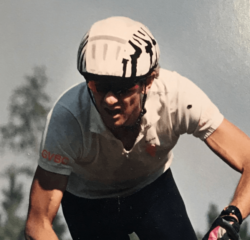 I’ve raced road, cyclocross, and mountain bikes off and on for the last 15 years. I enjoy all aspects of biking especially adventures on new backcountry trails and riding with my family. Along with biking, I enjoy camping and hiking with my family, hunting, trail building, gardening, and just being outside. I am from a small town called Jamestown, located just outside of Boulder, Colorado. 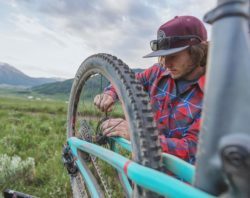 I grew up in the mountains and worked as a trail builder for Boulder County throughout high school, and then at a local bike shop. 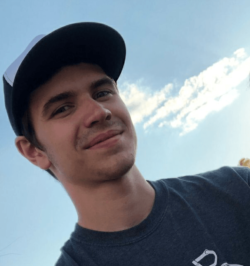 I moved to Bozeman in fall of 2015 for college and started my career at Owenhouse shortly after. I am a full-time student so you can find me working part-time during the school year and full-time in the summer. Mountain biking is my passion. I recently got into the Enduro scene and raced in the Montana Enduro Series, but relaxed trail riding with a few friends is my main source of adrenaline. 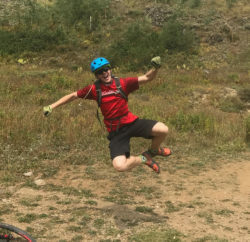 If I’m not riding my Transition Patrol you can find me dirt jumping, fly fishing, woodworking, ski building, skiing, trail building, or just being in the woods. Owenhouse is an awesome shop with a good crew of hard workers and I wouldn’t trade my job here for anything at this time in my life. Live to ride! I’m originally from Groton, Massachusetts but have lived in Bozeman since 2000. In 2017, I graduated from Montana State University with a degree in GIS and Planning. While studying, I worked as the Outdoor Recreation Program Bike/Ski Shop Manager, and since then I have been a Bridger Ski Foundation (BSF) Youth Ski League Nordic coach, an assistant coach for the BSF Development team, and a coach with Bozeman Youth Cycling. 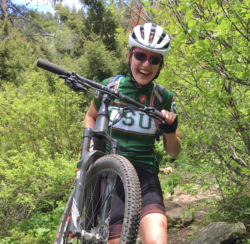 I have not spent much time racing, but I love my time in the saddle and think everyone should get to experience the fun and excitement of mountain biking. I’m excited to explore more of the world by bike and hope to encourage everyone to do the same. That’s why I love being the Rental mechanic at Owenhouse Cycling! I grew up in Stillwater, Minnesota and was an XC racer throughout high school. I have been working as a mechanic in bike shops since 2014 and now focus most of my racing energy towards the Enduro side of the spectrum. During the summer I also coach for Bozeman Youth Cycling and in the winter I ski coach for Big Sky Ski Education Foundation. To me nothing is more fun than getting people excited to enjoy all the mountains and beautiful wilderness our area has to offer. 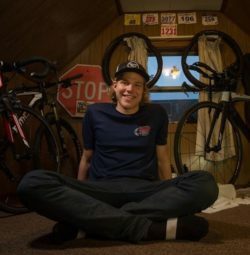 I grew up in the Brainerd Lakes area of Minnesota where I started road biking and joined my local NICA High School Mountain Bike Team as a senior. Prior to moving to Bozeman in 2018 I lived in Durango and Fort Collins, Colorado for 2 years. I love riding cross country-style mountain bike but am excited to learn more about Enduro. I will say that I’m a roadie at heart and love to pull a paceline on a group ride all day long. When I’m not on a bike I enjoy music, fashion, riding horses, art, and every once in a while I even break down and go for a run. I really love the cycling community in Bozeman and am excited to get to know more cyclists in the area. My goal is to be involved in local group rides and do what I can to get more women on bikes! 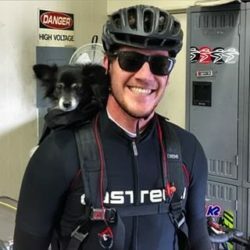 I was born and raised in Los Altos, CA and have been working in bike shops for over 8 years. I have worked in most departments in the bike shops over the years but mainly as a fitter, mechanic, and salesman. I enjoy all types of riding, from road to mountain, but will always stick to my freeride background. When I’m not working I enjoy adventuring around Bozeman and all it has to offer, whether that’s on a bike or not. I currently own 10 bicycles but ‘N +1’; I’ll never stop adding to the collection.